Aeroplane passengers with nut allergies are being put at danger because of the lack of importance being attached to the problem by airlines, it has been claimed. According to respiratory and allergy specialist at Southampton General Hospital Dr Jane Lucas, airlines need to take more responsibility for passengers and provide more consistent information. 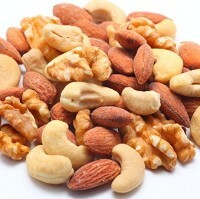 A study published in the journal Clinical and Translational Allergy researched how 32 people with an allergy to nuts or peanuts dealt with the pressures of travelling. Among the more alarming responses was of a crew member who said "poor you" and stroked a passenger's arm after it had been made clear that people should not consume nuts in their vicinity. On a different occasion an airline customer was given a walnut salad after telling the crew about the allergy. Medical travel insurance can provide cover for many different medical situations leaving travellers with peace of mind to go and enjoy their visit. Dr Lucas said: "This study demonstrates that, despite nut allergic individuals taking extremely sensible steps to remain safe, airlines are consistently putting lives at risk and are yet to make any significant steps towards taking this risk seriously. "It is simply appalling and unacceptable to see the level of variability between airlines and even on different flights within the same airline and it is time the travel industry took responsibility for the safety of their customers and developed a consistent, joint approach."